Q. 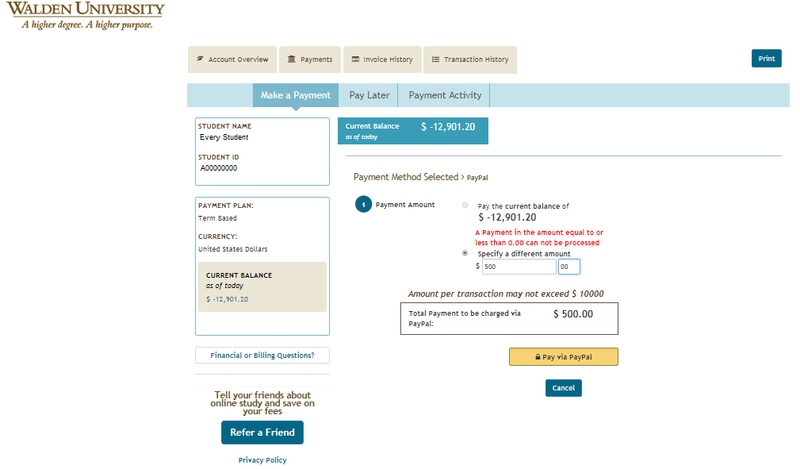 How do I pay my invoice with Paypal as an international student? 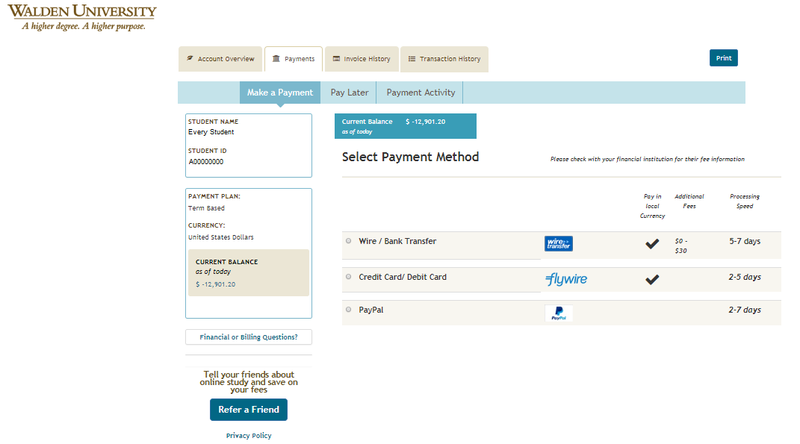 From the Account Overview page of the Student Financial Portal, go to the Payments tab and select Paypal. You will be taken to your Paypal account to complete your payment. Upon completing your payment with Paypal, a payment confirmation notification will be displayed. 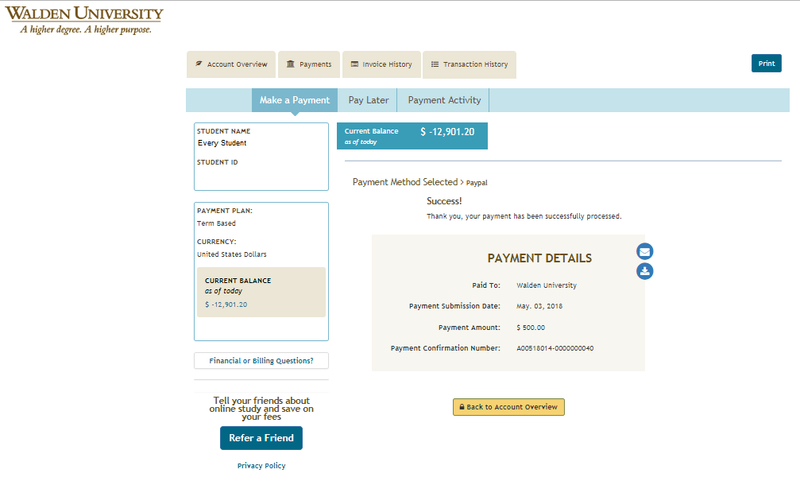 A payment confirmation will also be sent to your Walden University email address. Note: You can check the status of your payment on your Student Financial Portal in the “In Progress” section of the Payment Activity page. How can I view my invoice history?